Following the news last week that Virgin Atlantic was in discussions with Flybe over a takeover bid, IAG – the owner of British Airways – is also now believed to have opened talks. This is an interesting one. Much of Flybe is what was previously known as BA Connect, the ex-British Airways regional network. British Airways always struggled to make this work and was happy to sell it to Flybe in 2007. Why would BA buy it back? Of course, many of the arguments above also apply to Virgin Atlantic. Its Little Red operation showed that it didn’t know how to make money on UK domestic flights, and that the Virgin brand itself was simply not enough. 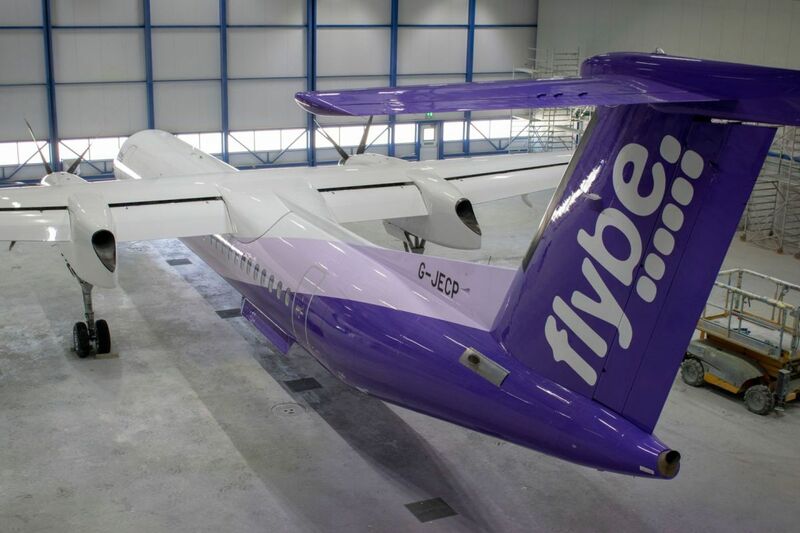 Flybe cannot provide it with much ‘feed’ outside Manchester, and Virgin Atlantic already codeshares on those routes anyway – but perhaps Virgin has a lot to lose if those codeshares go? Virgin, unlike BA, has no day-to-day experience operating smaller jets. The Heathrow services cannot move to join Virgin in T3 because the terminal is not designed to segregate arriving domestic passengers. There is a small bit of upside from stopping payments to Avios Group and using Virgin Flying Club as the loyalty currency, but this may be offset by some customers moving back to BA at London City. Is there value in protecting ‘feed’ to Virgin’s new shareholder Air France KLM? Perhaps Stobart Group will win the day after all? Norwegian announced yesterday that it is launching flights to Brazil. From 31st March, Norwegian will fly four times per week (Monday, Wednesday, Friday, Sunday) from London Gatwick. The flights will use a Boeing 787-9 with both Economy and Premium. Lead-in pricing is £240 one-way in Economy and £550 one-way in Premium. Anika’s review of Norwegian Premium is here – it is a substantial step-up from British Airways or Virgin Atlantic and the only PE seat which I would genuinely say is halfway between traditional Economy and Business. Norwegian even gives you lounge access. 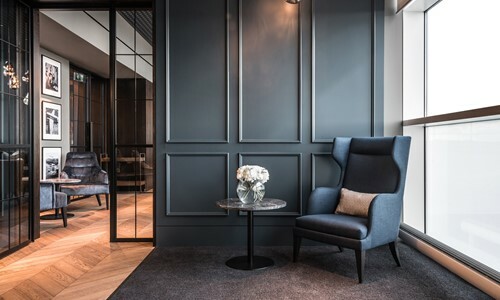 No 1 Lounges has opened its 2nd lounge at Birmingham International, by Gate 54. As we exclusively revealed back in June, the group has opened a second site to cope with demand. The new No 1 facility is part of the Clubrooms brand. This means that it is NOT available on Priority Pass, Lounge Club etc. It is designed as a more exclusive space, designed in the style of a private club, with table service and a la carte dining. The lounge offers runway views. The only picture on the website is the one above, which doesn’t show much. It will be interesting to see if Emirates decides to close its own lounge and use this instead, given its location near the Emirates gate. It must be expensive to run its own lounge for just two flights per day, seven hours apart. You can book online here. It costs £35 per person booked in advance (£40 on the door) with inclusive champagne packages costing extra. Children under 12 are banned and there is a dress code. Is it just me finds the audio quality at the AMEX Platinum call centre really bad and very quiet so difficult to hear what the adviser says? The audio is fine when calling the number on back of the BA card which I assume is a different call centre as I’m always put through to someone with an American accent. I’ve occasionally spoken to the office in Brighton and the quality is always fine; I’ve also been called by staff who are clearly overseas and reception is usually very “tinny”, worse than on a Skype call! OT – how long should I wait before following up a complaint with BA? They have an automated message on their phone system asking people not to chase (after which it cuts off), but three weeks after registering a case, I’d expect to have been contacted. I have a case reference. What are others doing in this situation? How long should I give it? Is there another contact number that doesn’t simply cut off?! Have you submitted a formal complaint on BA’s online complaint system? They are normally very prompt to come back with a reply and often a suggestion for service recovery (ie some compensatory Avios). You get a case reference number and can follow up quickly if you think their offer is acceptable or too low. I’m just guessing, but given you’ve had no reply to your complaint, then my guess is you phoned in a complaint to Customer Service? If so, start again from scratch with an online complaint using BA’s complaint system. If you did that already with no reply after 3 weeks, then just file the online complaint again. You wouldn’t need to phone at all. Thanks for the reply and advice. I submitted via email, and got a confirmation with a reference number telling me they’d be in touch. I thought I’d follow up via phone (0344 4930747 – option 3, option 3) but after a recorded message about their backlog, it simply cuts off. Might be worth trying Twitter team, they certainly used to be decent. I used their online complaint system, took 3-4 weeks to get a reply which just empathised with my concerns but did little else – replied to this and eventually got 5k Avios. Pretty rubbish given all the issues raised, BA CS pretty atrocious recently IME. OT: LHR T4 parking for a week, any suggestions / discount codes anyone can share. Hotel park and stay packages? some work out very good and require only 1 night stay then leave car for up to two weeks – IHG has them. Didn;t Rob also do a recent-ish article on here, on parking at LHR? OT: I recently completed the Hilton diamond challenge/have it till March 2020. Am I right in thinking that any stays between now and March 2019 won’t count towards the status being continued from March 2020? All stays in 2019 will count, from Jan 1st-31st Dec.
It’s the stays in a calendar year that count. Thanks Peter. I appreciate your time and knowledge. OT We were the last to be fed on our recent CE trip to Tallinn and 2 of the 3 breakfast choices were gone so I ended up with only fruit and yoghurt as I didn’t want what was left. The lovely stewardess, who acknowledged us by name, was very apologetic and said it happens all the time and offered to submit a complaint for me. She confirmed as we left the plane that she had submitted it. I know this is happening all the time but am I likely to receive anything? I haven’t received anything confirming that any complaint was submitted. Not really expecting anything but wondered what others have done/received. Judging by FT thread on service recovery, something like 2000 Avios? LH would be more. On my CE holiday trip to Rome in May there were no breakfast options left by the time they served me (ended up with a bit of bread and a drink). The purser said he’s going to put a note. Maybe an hour or so later got a phone call from BA to apologise and say they’re going to put 3000 Avios in my account. I have to admit I was shocked that they responded so quickly. Made me actually move some of my regular short-haul flights for 2019 to BA after 2 years on *A. Champagne & a crust to chew on – breakfast of champions! Love it! Here’s hoping for something anyway. Got Avios and tier points awarded on a reward flight so someone made a mistake there. This trip was paid for by Lloyd’s compensation from earlier in the year. 2 upgrade vouchers, double Avios awarded and hundreds of £££ in cash so these additional extras are all very welcome too! Ok just submitted! Will see what happens! AA SXM-MIA business seat not reclining 4000 miles instantly credited to account. IB MIA-MAD business got a few bites a couple of hours into flight, cabin manager brought insecticides for skin and seat fabric plus some lotion. Sent in complaint received 10,000 avios within 24 hours apologising that the IFE was not working. Have an upcoming trip to Johannesburg. Any recommendations on the best Priority Pass lounges there? There are quite a few and don’t know which one to focus on!